Both teams are fighting for the semi-finals. After missing the qualifying for the 2018 World Cup, Italy started the League of Nations badly by lining up 2 first games without a win. Indeed, the Squadra Azzurra was held in check at home by Poland (1-1) before falling to Portugal (0-1). At the last rally, the Transalpines relaunched themselves in the race for qualification by winning in Poland (1-0). They also conceded, at home, the draw against Ukraine in friendly (1-1). Portugal leads Group 3 after winning their first two games against Italy (1-0) and Poland (3-2). The Lusitanians are in good shape to ensure their qualification for the semifinals of the League of Nations. At the last rally, after taking over Poland, they won in Scotland friendly (3-1). 11 elements present at the last rally were absent because of injuries or the choice of the coach: they were goalkeeper Perin, defenders Criscito, Acerbi, Piccini, Tonelli, D’Ambrosio, Bonaventura middle and strikers Bernardeschi, Giovinco , Caprari, Zaza and Cutrone. Bonuci, Chiellini (Juve), Verratti (PSG), Immobile (Lazio), Jorginho and Insigne (Naples) are available. 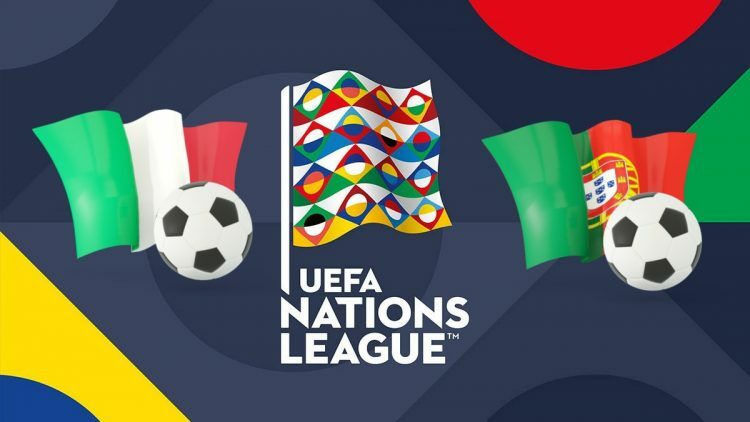 For Portugal, Cristiano Ronaldo is still not convened for this League of Nations. In a group virtually unchanged from the October rally, goalkeeper Rui Patricio, defenders Pepe (Besiktas) and Fonte (Lille), middle William Carvalho (Betis) and forwards Bernardo Silva (City) and Andre Silva (Sevilla ) look like chess. Return of André Gomes (Everton) and presences of the promising Ruben Dias (Benfica) and Ruben Neves (Wolves). In the first leg, Portugal won on the smallest margin in front of their supporters against Italy (1-0).